Where to Place Salt Lamps to get their Maximum Health Benefits? Home » Where to Place Himalayan Salt Lamps to get their Maximum Health Benefits? Medically it’s proved that negative ions of salt lamps generate positive effect for a body when they enter the bloodstream. Negative ions regulates the sleep cycle and relax the stressed muscles. That’s why it’s highly recommended to place a beautiful Himalayan salt lamp on your bedside table. Thus, you may better enjoy sound sleep. Science adds to our knowledge that electronic devices release electromagnetic radiations which are harmful for users as we daily use cell phones, computers, laptops, television etc. As it has become almost impossible to avoid the electromagnetic rays but we can definitely cut down their effects. 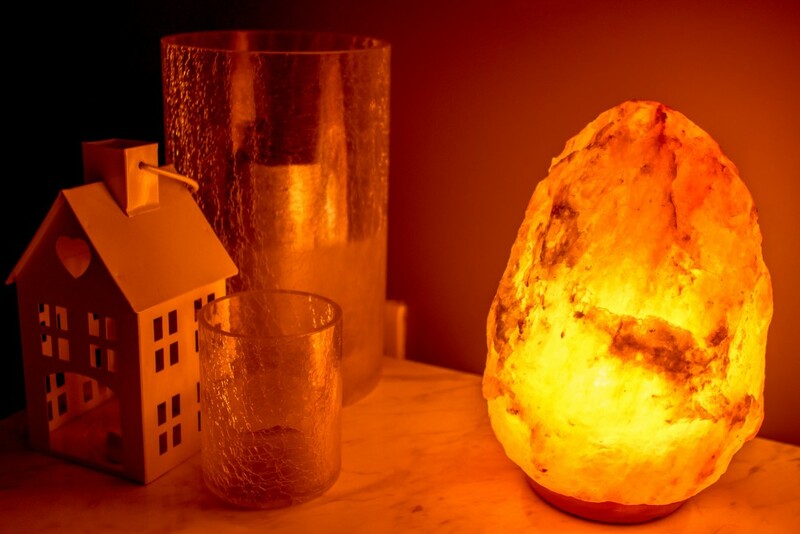 While working on your system, you may enjoy the soothing light of the Himalayan salt lamp and also reduce the impact of electronics by the beneficial negative ions generation of salt lamps. So, insert it on or near your working table. A spa is a place to get rid of your muscle and mental stress. A professional spa contains maximum accessories to fulfill the requirement. So, why not add a Himalayan salt lamp in the spa and even a meditation room. Not just the soft light is enough to create a meditation effect there but also its negative ions contribute well to ease your stress. If you’re thinking to arrange a decor for the living area then what’s better than a uniquely designed salt lamp? It’s to redefine the grace of interior and here it can pass its negative ions to the entire area of a home. Dust and pollutants have become a part of urban life. Doors and windows are the main sources to let these contaminants enter the home. But if we place a combater in form of a salt lamp in the window, it can benefit against environmental issues. Try to have a Himalayan salt lamp at that place which is most used by family members. Thus, they can get its advantages closely. Moreover, it reduces the suffocation of any boxy and crowded space. There are lots of health benefits of salt lamps, Patients with respiratory diseases and else actually desires some natural sources to soothe their illness. It can be the best hospitality gift for visiting any patient which can rejoice and deodorize their room. Along with must have accessories in a nursery room, this Himalayan salt lamp also should be a part of the interior. Especially for newly born babies, a rock salt lamp is a natural fighter against the germs/harmful particles into the air. Although, experts supports the benefits attained by Himalayan rock salt lamps but it’s a clear statement by them; a natural healer and remedy take time and emphasize on regular use to experience good outcomes. So, it’s highly suggested to use natural Himalayan Salt Products regularly in our life.